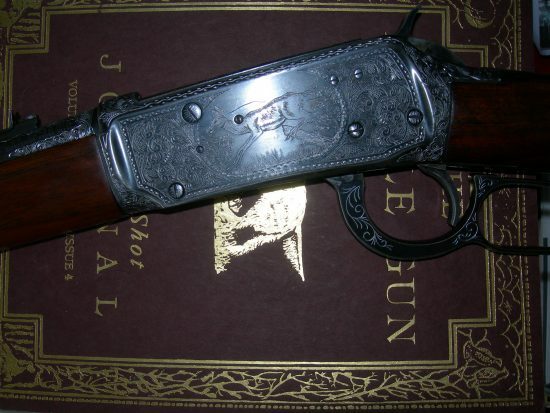 Full coverage American Scroll on this gun. Full coverage on a 94 receiver will run anywhere between $800 – $1,000. Contact me for more information. 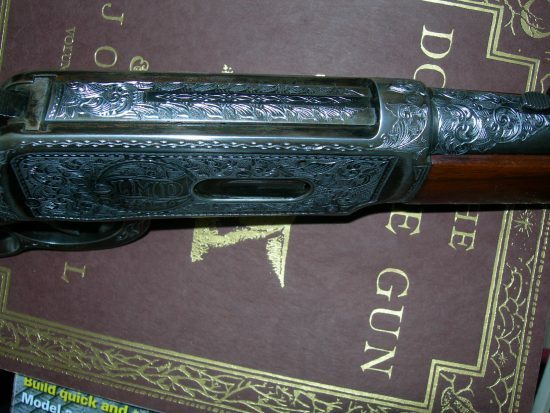 Top view of fully engraved 94 Winchester. A truly unique gun!